In a memo released on the eve before the City Council meeting tonight, the Hoboken Corporation Counsel Office cleared Boswell Engineering and a prominent law firm for concerns about pay-to-play. The firms were named as concerning at the prior City Council meeting when a $60,000 contract for Prestige Environmental was tabled for similar allegations about alleged Pay-to-Play violations. In a four-page memo, Alyssa Bongiovanni, an Assistant Corporation Counsel concluded the two vendors, Boswell Engineering and law firm Lite DePalma Greenberg, LLC "are in compliance with the City's Pay-to-Play ordinance." Each made approximately $300 contributions to the Ravi Bhalla mayoral campaign, within the legal limit. When the Corporation Counsel and the Bhalla Administration placed Prestige Environmental on the City Council agenda for a contract for approval at the earlier May meeting, Councilwoman Tiffanie Fisher asked for further review of the other two potential vendors. The City Council then declined to approve the contract for Prestige Environmental and Corporation Counsel Brian Aloia pledged to immediately "investigate" the issue and respond to the council's concerns. In the four-page memo, however, published late yesterday by the Hudson County View, Bongiovanni declined to discuss any aspect of Prestige Environmental or how the Bhalla Administration and Corporation Counsel office failed to perform its required due diligence under the Hoboken Pay-to-Play laws before submitting that contract for approval to the City Council. The memo would admit in a separate footnote that Prestige Environmental "had made contributions in violation of Hoboken's Pay-to-Play ordinance to the candidate committee or Ravinder S. Bhalla and to Team Bhalla for Hoboken." The footnote further explained "the City is no longer recommending a contract to Prestige," adding a review of Pay-to-Play is no longer "necessary" as the ordinance "only applies to entities with contracts with the City." But under Hoboken's Pay-to-Play ordinance, the Administration and the Corporation Counsel Office are required to vet vendors are in compliance PRIOR to presenting a contract for approval to the Hoboken City Council. Councilwoman Tiffanie Fisher indicated after reviewing the memo she would withdraw a resolution on Pay-to-Play on Boswell. The City Council is expected to take up consideration on a new contract for Boswell tonight. The second resolution on Lite DePalma Greenberg is likely not to see any action by the council tonight. The City Council is likely to continue to be wary of what comes to it by way of contracts and other financial matters from the Bhalla Administration. Councilwoman Tiffanie Fisher offered, "... as we saw when the administration submitted the Prestige Environmental resolution for approval at the last council meeting, we need more confidence that our corporation counsel/ pay-to-play officer are independent and thorough enough to ensure proper enforcement of our Public Contracting Reform laws." Brian Aloia was a $600 contributor to Ravi Bhalla's mayoral campaign. At the last City Council meeting, he suggested the City Council approve the contract for Prestige Environmental and he would review the matter later. The suggestion itself is however not in compliance with Hoboken Pay-to-Play laws which specifically forbid any such approval by the City Council. 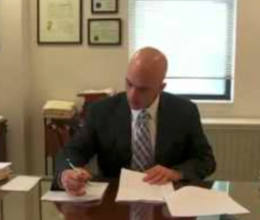 The City Council is leary of contracts offered by the Bhalla Administration since it became public earlier this year Hoboken Mayor Ravi Bhalla took an employment contract with a Republican law firm for $60,000 and a generous commission plan for delivering new business. Bhalla had promised to leave his prior law firm and focus on Hoboken as his full-time job if elected Hoboken mayor. Within a month of taking office, he was on the payroll of another law firm: Lavery, Selvaggi, Abromovits & Cohen.